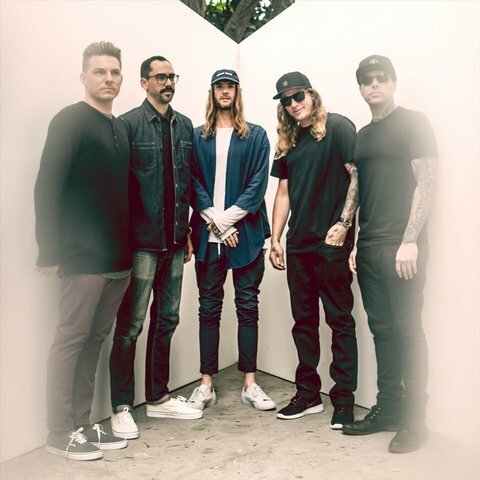 Following in the footsteps of their California brothers Sublime, Huntington Beach's Dirty Heads mix hip-hop, reggae, and rock along with that laid-back South Cali attitude. The group formed in 2003 when punk rocker Dustin Bushnell (aka Duddy B) asked his friend rapper Jared Watson (aka Dirty J) to collaborate on a project that would focus on positive vibes and infectious grooves. Watson added singing to his vocal skills, and with percussionist Jon Olazabal joining, an acoustic trio version of Dirty Heads began playing shows and building an audience. They soon hooked up with producer Rob Cavallo and headed into the studio to record their debut album for Warner Bros., but differences with the label had them looking for other opportunities. Still, the band was able to retain most of its work, including sessions with drummer Josh Freese, along with the late-Beatles collaborator Billy Preston in one of the keyboardist's last recordings. The finished album, Any Port in a Storm, would arrive in 2008, with a deluxe edition following in 2010. 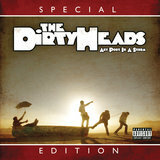 The deluxe version featured the track "Lay Me Down" with special guest Rome Ramirez of Sublime with Rome. The song would top Billboard's Alternative Songs chart just before the summer of 2010. They followed up two years later with Cabin by the Sea and later recorded an acoustic version of the title track. This, in turn, led to an entire acoustic album in 2013 called Home: Phantoms of Summer. 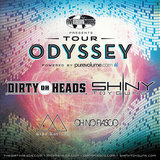 Dirty Heads' next album, Sound of Change, would prove to be a breakthrough for the now-veteran band, debuting at number eight on the Billboard Top 200 while topping the Independent and Alternative Albums charts upon its May 2014 release.